..bought makeup from the dollar store? How did it work out? Did you like it? I do once in while. I always have to look to see what the new stock is. It is never consistent which makes it fun. Sometimes I see OPI, L'Oreal. You just never what's going to be there. 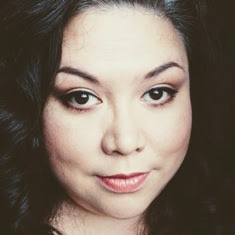 Normally I stay away from eyeshadow and skin care as my experience has usually been negative. But there are other beauty related items that may intrigue you. 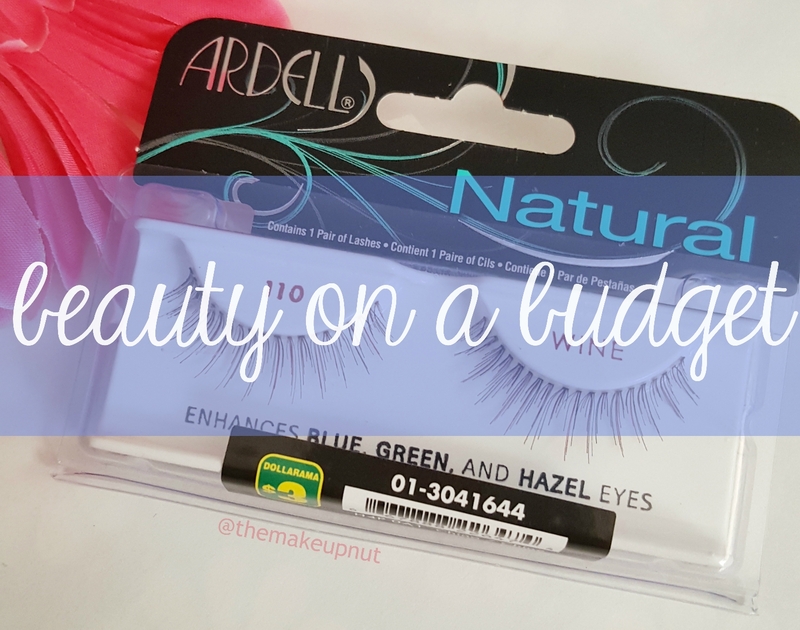 Today's budget beauty find is all about lashes. I am always surprised and excited when I come across Ardell lashes in Dollarama but they are generally of the super dramatic variety that I would never get much use out of. Let down. But Dollarama also carries the Mariposa multipacks. These are like the 5 pair multipacks you can get from ebay for $2-$5. At Dollarama, the Mariposa multipacks are $3.00. That is pretty cheap! No credit cards or waiting a month for your order. These ones are the Sapphire Lash 012 Star Struck (made in PRC). They come in a super cheap plastic package, held together with a few pieces of tape. 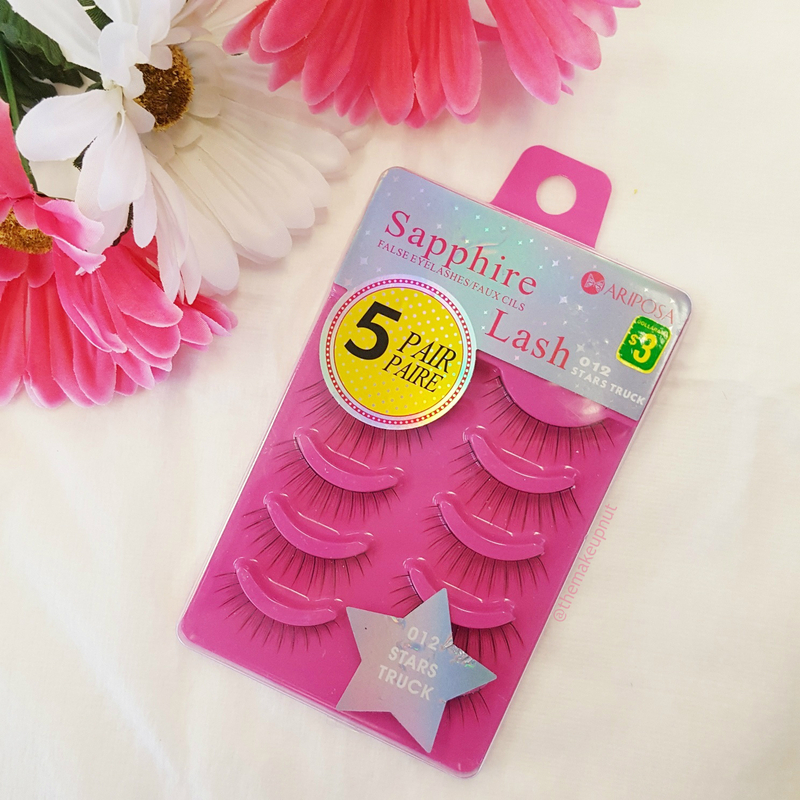 The lashes themselves are very light and natural and the lash band is very thin and black. They actually remind me of the Ardell Lashlites lashes. The size was perfect for me so I didn't have to cut them. These do come with a little vial of lash glue but I am a goof when it comes to applying lash glue. It gets everywhere! I can only use the brush on Duo Lash Glue so I didn't even bother to try out the Mariposa glue. 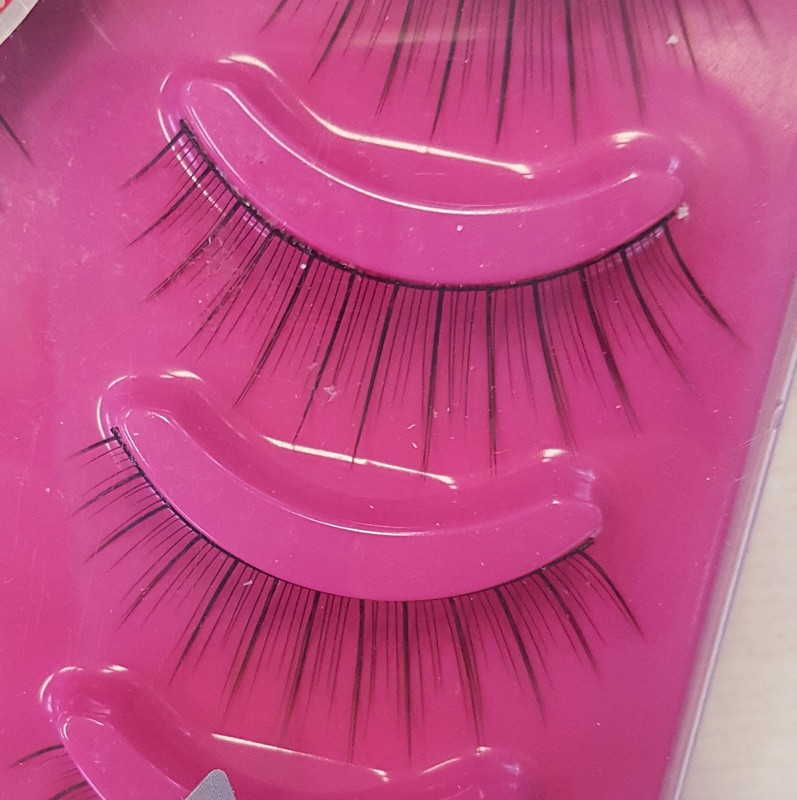 The one issue I had with these lashes was that they had a really sticky adhesive on the back of them that stayed on the lashes when you pulled them off the package. I had to use another pair of tweezers to pull that adhesive off which came off in tiny little pieces. The second set of lashes I used I got lazy and just left the adhesive on. My eye didn’t fall out or get irritated but this is probably something you don't want to do on the regular. The last multipack that I had from Dollarama did not have this issue. 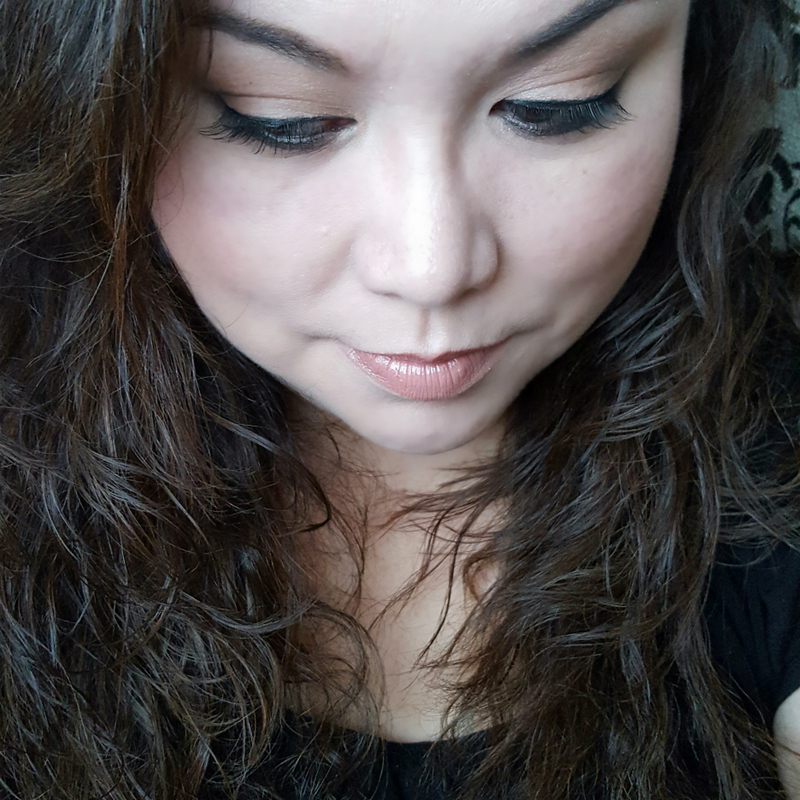 All in all, these were very natural lashes that gave me length and didn't look like I was wearing falsies. I also grabbed a pack of Ardell Naturals 110 in Wine ($3.00). 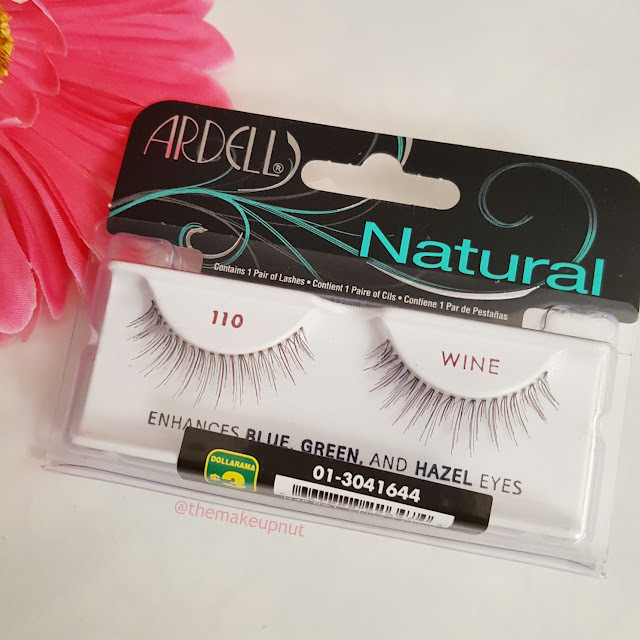 There was a few black pairs there but they were half lashes, coloured or has rhinestones on them, The 110 Wines were the most 'natural' lashes that I saw in the Ardell brand. 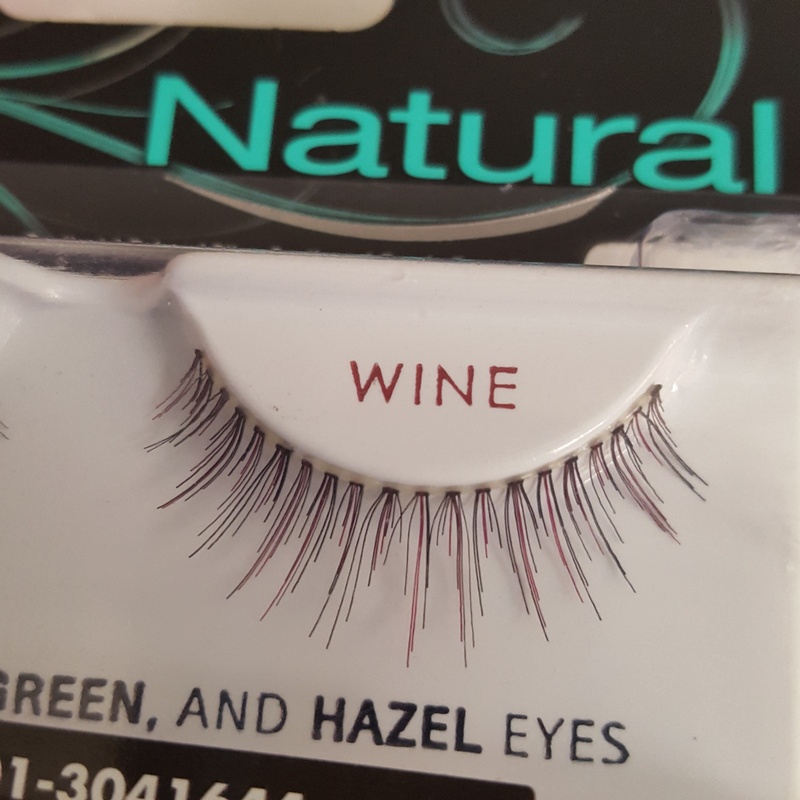 I figure I will just add a couple coats of mascara to hide the wine colour. I normally don't wear lashes on the daily as application takes me awhile plus I wear glasses a lot and hate when the lashes are too long and swipe against my glasses when I blink. But these Mariposa Star Struck lashes were the perfect length for me. 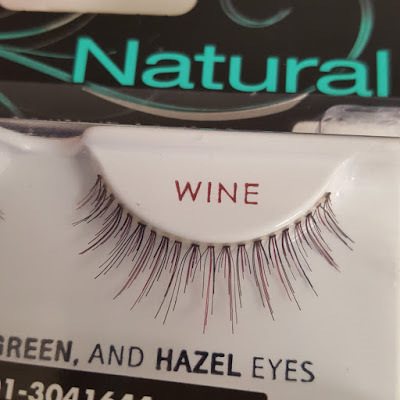 If you want to pick up some cheap and decent false lashes, take a look in the cosmetic aisle next time you are at Dollarama.